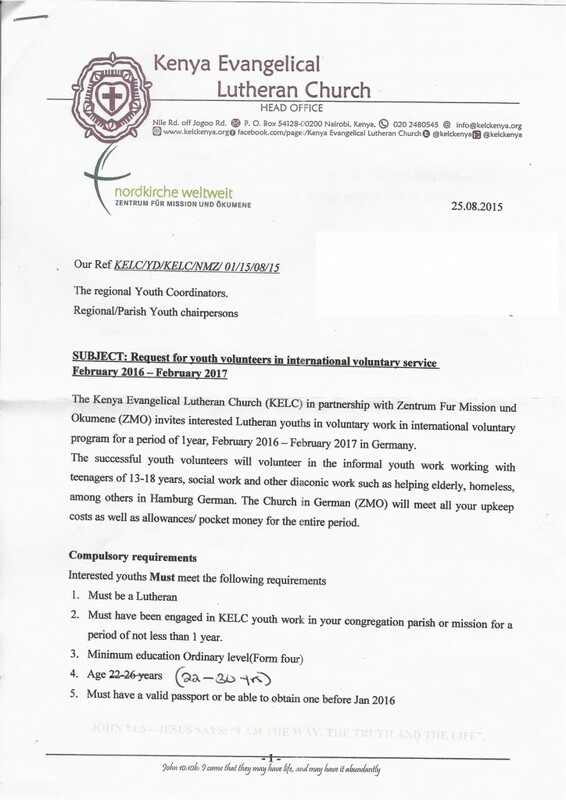 Attention KELC Youth! We have an excellent opportunity to volunteer with our partner church in Germany. If you are an active KELC youth, between ages 22 to 30, with experience in informal social work or educational work, please consider this opportunity. 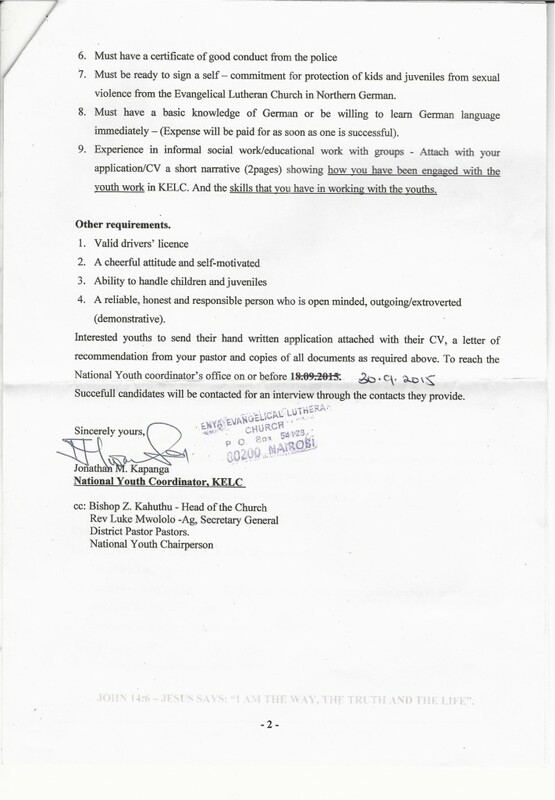 If you are interested in applying for this volunteer position, please contact your pastor or the Youth Department at the KELC Head Office. The deadline for applications is 30 September 2015, so please act fast!